could you please provide a silicon cover with the phone for the backers? 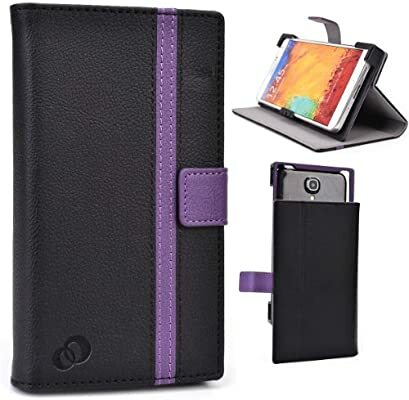 Yes please, I doubt that there will be abundance of accessories (but I’ll be more than happy to be wrong), so a cover could be a vital accessory for this precious phone! maybe releasing a 3d model of the phone case will allow to create a cover with a 3d printer? is someone around experienced with such a task? 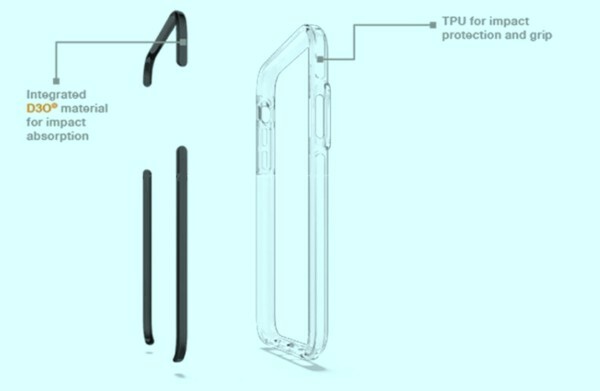 “Universal plastic frame/holster for phones. Minimum to maximum phone dimensions: 5.6” x 2.64" x 0.27" to 5.95" x 3.12" x 0.43" only." This is the exact type of case I always look for, too. I love the Spigen ToughArmor for my phones due to that. I can set my current phone face down and not worry about it due to the raised edge around the screen. To be honest, I am not surprised that Purism will not likely take time to develop a case (they have enough to do), and I doubt there will be any case manufacturers that design a case specific to the Gen 1 Librem 5. 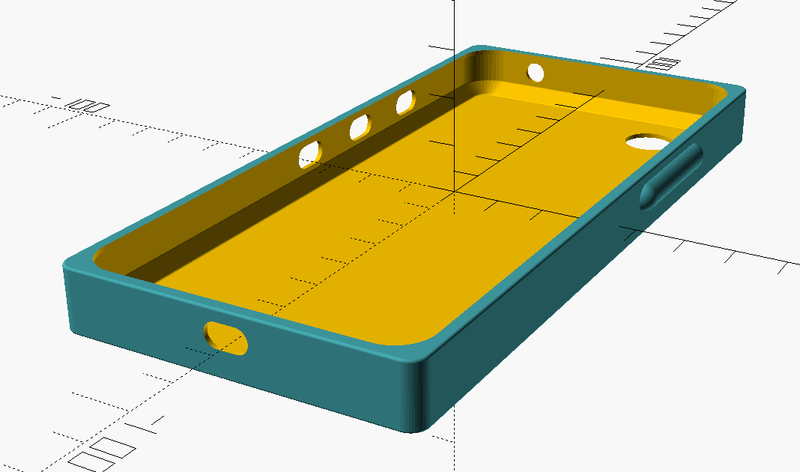 As suggested by @maxzor in a previous post, I plan on designing a case for our beloved 5 as soon as Purism finalizes the case dimensions and port/button/switch placements. For myself, I plan on doing a design that is a combination of an inner TPU flexible shell (with a slight lip overlapping the top of the phone) perhaps combined with an outer hard shell, likely done in PLA. I will be more than happy to take suggestions during the design phase, and of course it goes without saying that any design will be distributed under a fair attribution CC license. No doubt we are many months away from having enough case details to start design, but rest assured there will be a Librem 5 case! Cases for the Librem 5? It’s been some time now, do you think you made any headway with your case design and shapeway suggestions? No designs yet, as I’m still waiting to get final dimensions of the hardware before I commit some time to designing a case. Rest assured I still plan to make something and am still pondering designs that are functional but still easily printable. I will certainly start sharing designs with the community once I start and hopefully together we can crowd source a cool design that people will be happy with. @roguenorm, @Seven, I kind of jumped the gun and started on a cover using approximate measurements from the images on the website. I’m using OpenSCAD, so it will be relatively easy to fix the dimensions when we have them. Once I’ve got the script cleaned up a little more, I’ll put it on Github, and we could start refining/branching designs, etc. That’s awesome and a great idea! That will speed up design immensely, since it looks like a great base. And nice curves! (I don’t say that to just anyone ) Are you using a Hull or a Minkowski approach for your rounded corners? Also, if you are on Matrix, you should mention it in the in the #Librem-5-Case-Creating-Community:matrix.org room. Thanks to L5 depth I still think that all it is needed for sufficient protection is to have integrated D3O® material for impact absorption within TPU shell for impact protection and grip … thinking back cover here is obsolete and purposely to be avoided. Similarly, GARMIN offers Silicone Cases (without back cover) for Edge® Explore and Edge® 1030 in black, white, yellow, green, blue and red. Yes, please help if You can, even though as my playground (choice of material and design) looks different it still might be the proper choice of manufacturer or broader interest. And, for example, if we talk about 3D Printing with Silicones, ACEO Open Print Lab (in Burghausen, DEU and Ann Abor, Michigan, USA) provide their service only to B2B customers and this means that I as individual cannot buy there even if I have design template (or two). The script makes liberal use of the “hull” function – although I generally get what “minkowski” does, I find “hull” more intuitive and flexible, if not more efficient in terms of code length. I’m not on Matrix, but will look that up. Regarding a cover/case it would be cool to have two slits in the back if the back ever gets added back to run an armband through to use for running, working out, etc. I hope it’s fairly self explanitory, but please let me know if anyone needs explanation of any of the user-set parameters. I’ve grouped all of the settable parameters at the top of the script. When we have the final phone dimensions with the locations of the controls, we should just be able to plug them in. I may start a new thread to broaden the exposure. @snarfel, my cover is not backless. Although with an aluminum cover you don’t really need a back, I prefer to have something to protect the aluminum cover from scratches/dents, even if it increases the overall thickness. It should therefore be fairly straightforward to add two slits to the back of this design. Maybe start a new branch from my github main branch? Let me know if you need help.